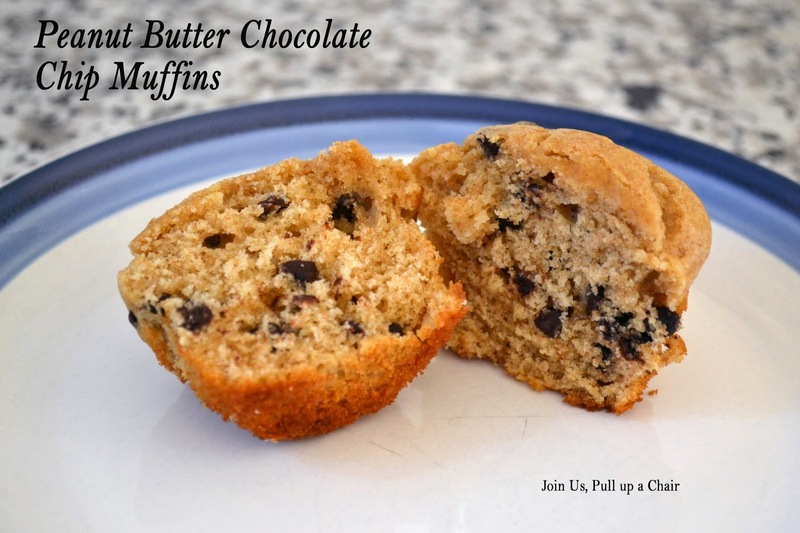 Every time I ask my kids what they want me to make…it’s muffins! Of course the next question was…what flavor? After going through a couple different options with Madeline, she settled on peanut butter chocolate chip. I knew these would make a great morning snack for her during the school day. Preheat oven to 375 degrees. Line two baking tins with paper liners and set aside. In a large bowl combine the flour, baking powder and salt. Add in the remaining ingredients and mix until just combined. Fill the prepared muffin cups 3/4 full. Bake for 15 to 18 minutes or until a toothpick inserted comes out clean. Remove from tin and place on a cooling rack to completely cool. I hope everyone had a great holiday weekend! We have a busy weekend and hosted a family party on July 4th. It was small but it was fun to get together with our family and enjoy the weather. I was worried the weather wasn’t going to be great, but by noon, the weather changed and it was gorgeous out. I’ve been busy working the kitchen getting ready for some of my monthly features; I’m so excited to share them with you! 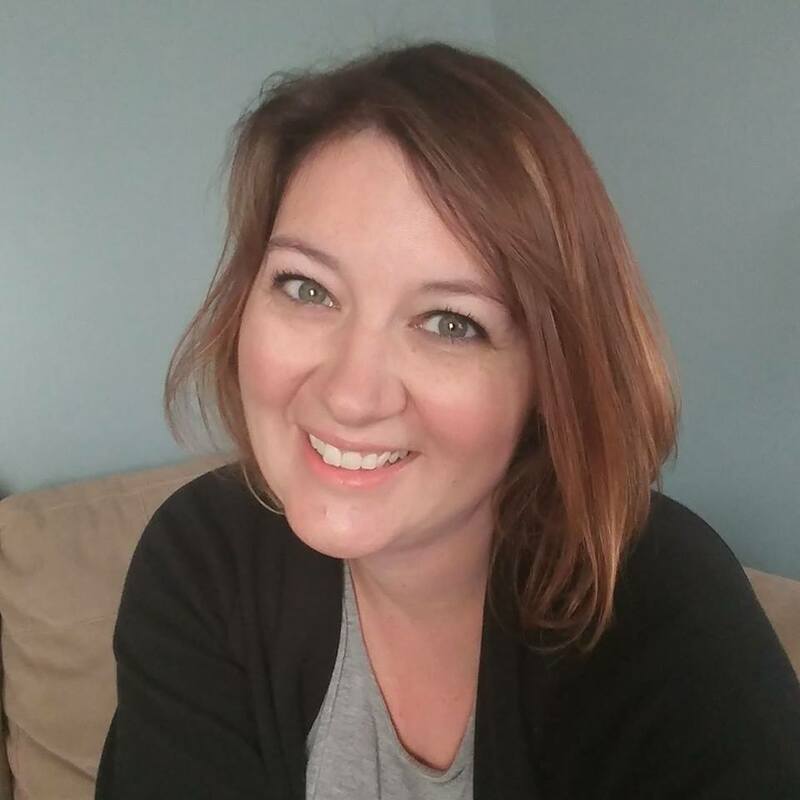 I have also been really busy trying to grow my business and I’ll be sharing more information about it later this week as well as a little surprise too. 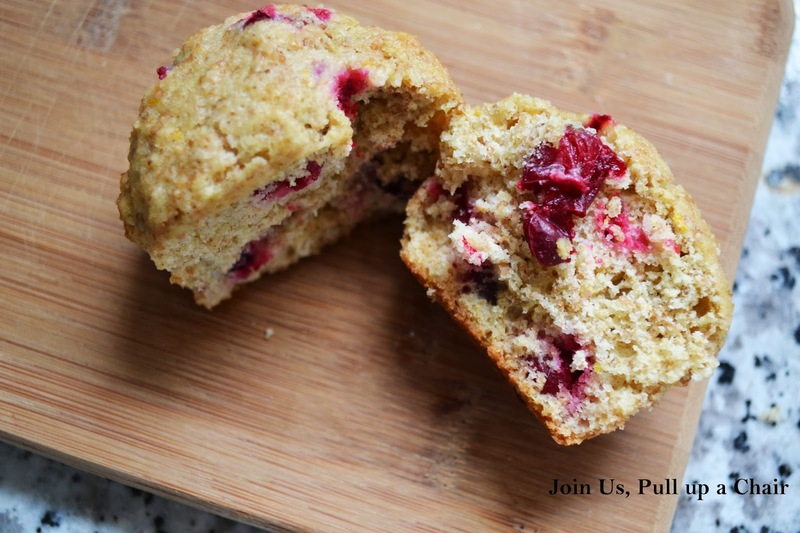 I made these muffins months ago, but they got lost in the mix and I just stumbled across the pictures as I preparing for another post. I figured now was a great time to get them posted because they were devoured in 2 days. 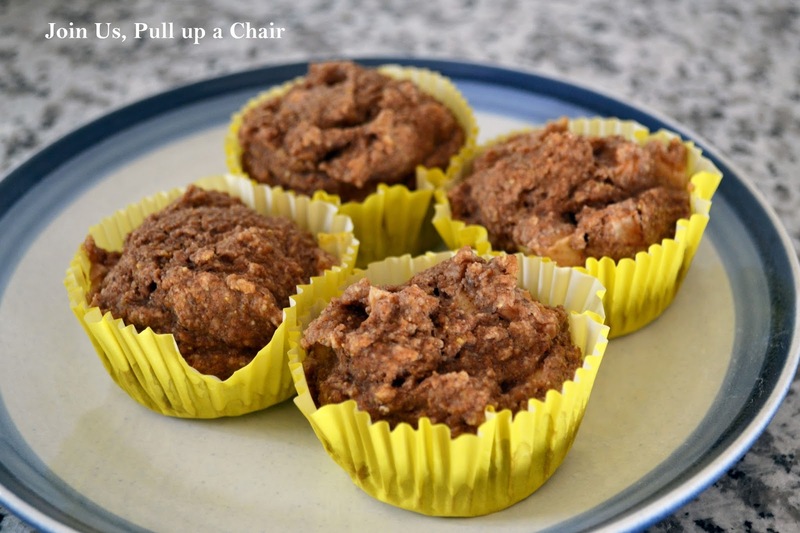 The kids gobbled them up and they were perfect to send to daycare for breakfast and for an after daycare snack. Plus, they’re healthy too, so I didn’t worry when the kids ate 2-3 in a day. Preheat oven to 425 degrees. Spray a muffin tin with non-stick cooking spray and set aside. In a medium bowl, mix together the mashed bananas, honey, brown sugar, yogurt. egg and milk. Once combined, whisk in the peanut butter and vanilla extract. In a separate bowl, combine the flours, cinnamon, baking soda, baking powder, salt and chocolate chips. Pour the wet mixture into the dry ingredients and gently fold to combine all the ingredients together. Divide the batter between the twelve muffin tins. They should be almost filled to the top. Bake for 5 minutes at 425 degrees and then reduce the temperature to 350 degrees. 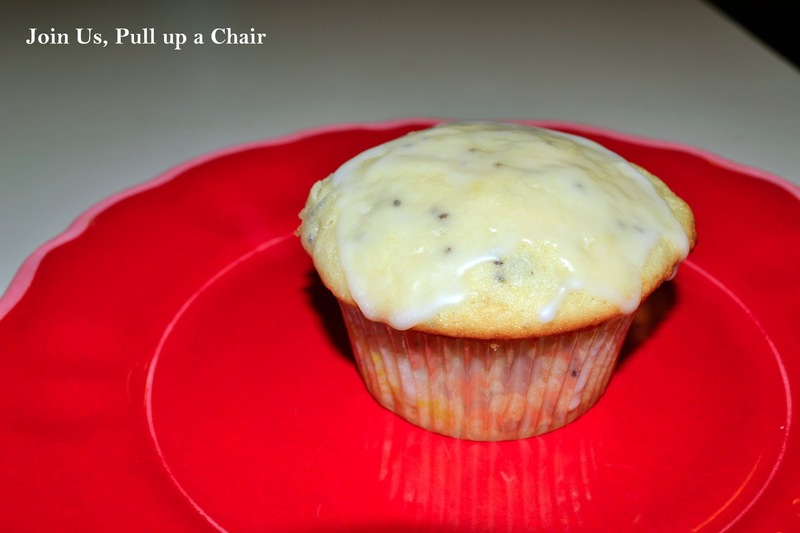 Bake for another 10-12 minutes or until a toothpick inserted in the center of a muffin comes out clean. Remove from the oven and allow to cool before eating. I sometimes wonder if I should have incorporated our love for muffins in my blog name with all the muffins I have made! Since becoming a mom, I’ve made muffins more than anything else. The kids love them, they’re quick and easy to make plus I’d rather send these to daycare as a snack than prepacked items they usually serve. 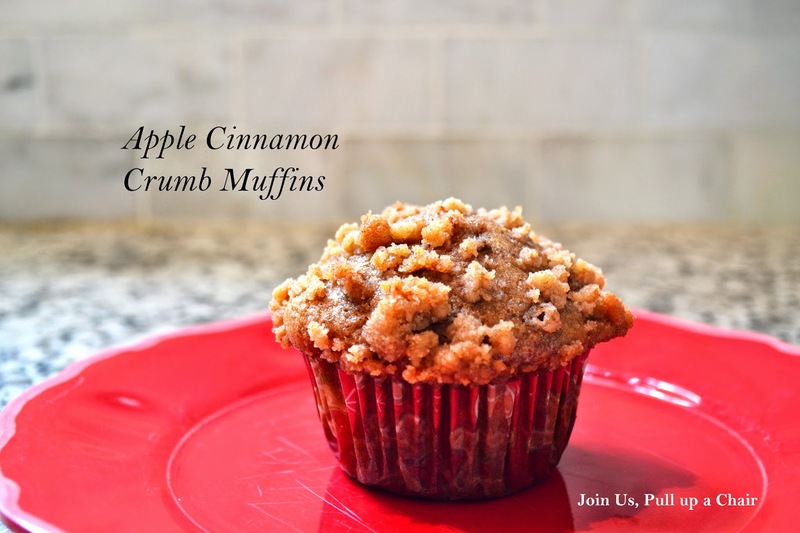 These muffins would be perfect for the fall, but I had a few apples to use up and Madeline requested apple cinnamon muffins. 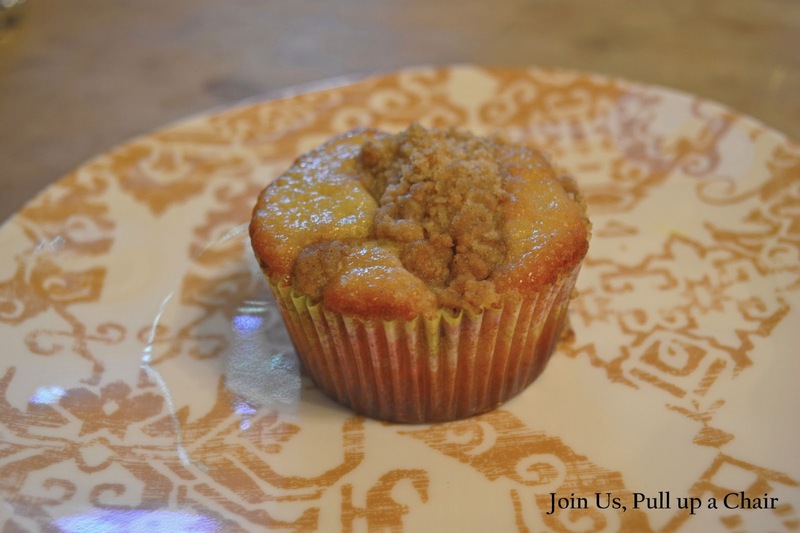 I love the combination of all-purpose and whole wheat flour, and the crumb on top is delicious! While baking them, it definitely smelled like fall! Preheat oven to 375 degrees. Line a muffin pan with paper liners and set aside. In a large bowl, whisk together both flours, brown sugar, baking soda, salt and spices. In a small bowl, whisk together the buttermilk, oil, egg and vanilla. Pour the wet ingredients into the dry ingredients and mix until just combined. Gently fold in the diced apple. For the crumb topping, mix together all the ingredients in a small bowl until the mixture becomes crumbly. Fill each muffin tin with batter about 3/4 of the way full. Sprinkle the crumb topping evenly over the filled muffin cups. Bake for 20 minutes or until the muffins are golden brown and a toothpick inserted in the center come out clean. 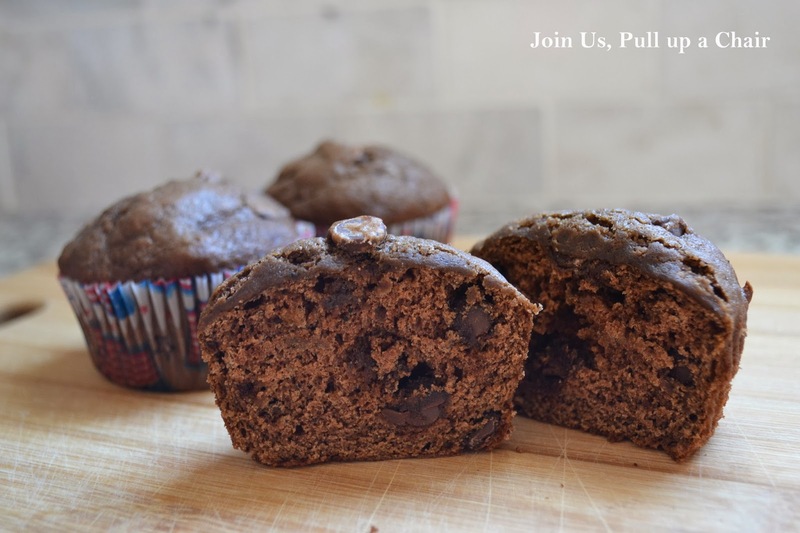 Allow muffins to cool completely before enjoying! 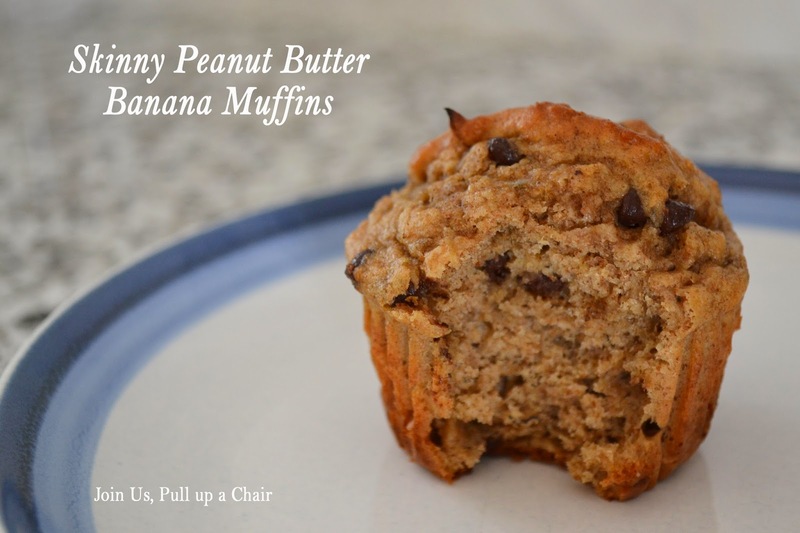 I had a not so great day the other day and needed a pick me up and these muffins did exactly that…plus it allowed me use up two over-ripe bananas. Yes once again I found myself with over-ripe bananas. My little man has been eating bananas like crazy and they don’t last long around the house. We all loved these muffins! They were the perfect amount of chocolate, hint of banana and perfect when they were still warm from baking. The perfect after dinner snack to help turn my day around! I know I’ll be making this again! In a mixing bowl, beat the bananas, oil and egg together. Add in both sugars and combine. In another bowl, sift together the flour, cocoa powder, baking soda, baking powder, salt and cinnamon. Slowly stir the dry ingredients into the wet mixture until combined. Stir in the chocolate chips. Divide the batter until each is 2/3 full. Bake for 18 minutes or until a toothpick insert in the middle comes out clean. Allow the muffins to cool in the pan for a couple of minutes and then remove and cool completely on a wire rack. Today’s my reveal day for The Secret Recipe Club. This last month flew by and I’m not sure where the time has gone! My assignment this month Jane’s Adventures in Dinner. Jane has so many amazing recipes with mouth-watering photographs! I love her creativity and variety! I had planned to make her pretzel dogs, but my daughter had dental surgery last week and I didn’t want to miss out on eating them. They’re on my list to make for next week! 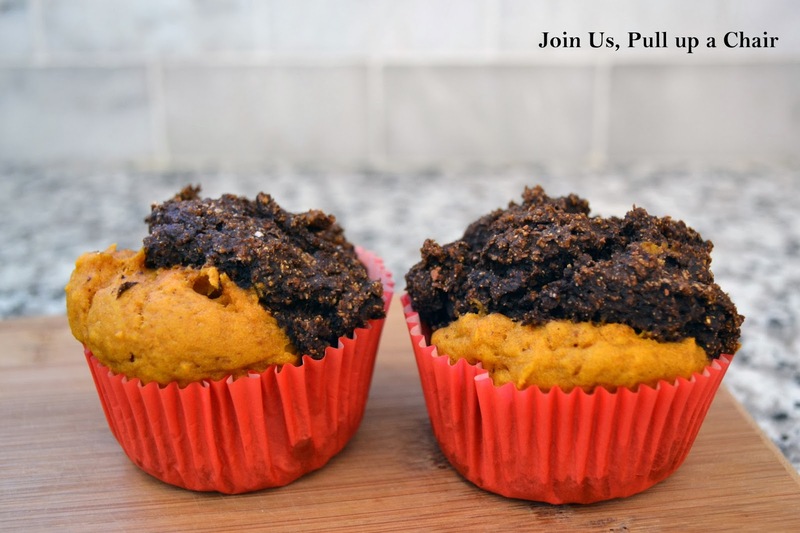 Since she could only eat soft foods, we decided on Jane’s Pumpkin Chocolate Swirl Muffins. I made a substitution of flour in the chocolate batter and used whole wheat, which resulted in super thick batter that we couldn’t swirl. Regardless, they tasted great and both kids loved them! They’ll make great snacks for the kids to take to school this week. On a quick note, I wanted to let everyone know of an amazing Rodan + Fields deal coming up. If you’re a preferred customer, you’ll have the opportunity to get a hold of the AMP MD roller at my price, 15% off the preferred customer price! There’s still time to become a preferred customer, contact me today! Preheat oven to 350 degrees. I would lightly spray a muffin pan instead of using paper liners. 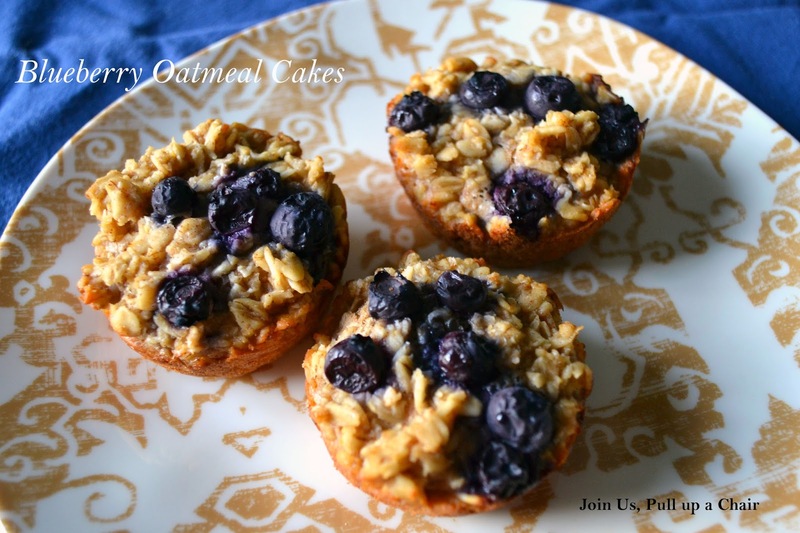 Set muffin pan aside. In a medium sized bowl, combine the pumpkin, vanilla, brown sugar, cinnamon and eggs. Divide the batter in half and transfer half to another bowl. In one bowl, add in 1 1/4 cups of flour, 1/2 tsp baking soda and 1/2 tsp baking powder. Stir to combine. In the other bowl, combine 1 cup flour, 1/4 cup cocoa, 1/2 tsp baking soda and 1/2 tsp baking powder. Divide the pumpkin batter between the prepared muffin tins and then divide the chocolate batter. Swirl the batter together…if you can… 😉 Bake for 15 to 18 minutes or until a toothpick is inserted in the center comes out clean. Remove and allow to cool in the pan for 5 minutes. Remove from the pan and allow to completely cool on a cooling rack. It’s been quite quiet in my kitchen lately. I haven’t been inspired to cook or bake lately and I’m blaming it on the weather! Temperatures have been all over the place and I can’t find the motivation to get moving. It also didn’t help that Madeline came down with strep throat before the holiday weekend, but luckily after one dose of antibiotics, she was feeling much better. I’m still working on the case of Biscoff I won a couple months ago. I gave a few jars away and I’m going to need to try out some new recipes to use it. I decided the first venture was muffins, since we all know how much I love making muffins. These were good, full of Biscoff flavor but the crumble didn’t stay crumbly like I had hoped. Preheat oven to 350 degrees. Line 2 muffin tins with paper liners and set aside. In the bowl of a stand mixer, cream the butter and sugar together until smooth and creamy. Add the yogurt and mix to combine. Add in the vanilla, cinnamon and 1 egg. Mix until combined and then add in the last egg and mix. In a small bowl, whisk together the flour, baking powder, baking soda and salt. Slowly add the dry ingredients to the wet mixture and combine. Remove 1 cup of batter and place in small bowl. Add in the Biscoff spread and stir to mix together. Divide the batter and fill 1/2 way full. Add a dollop of the Biscoff batter on top and swirl with a knife. To make the topping, combine the flour, brown sugar, salt and cinnamon together. Cut in the butter and Biscoff with a pastry knife (or two knives like scissors) until a crumble forms. Sprinkle the top of each muffin generously with the crumble. Bake for 22 to 25 minutes or until the tops begin to brown. Remove from oven and place on a wire cooling rack to cool for 5 minutes. Remove the muffins from the pan and place on the cooling rack to completely cool.